Olive Films continues playing the game, and they remain the winner in the victorious game known as Rare, Forgotten and Lost Movies That Must Be Seen and Owned. 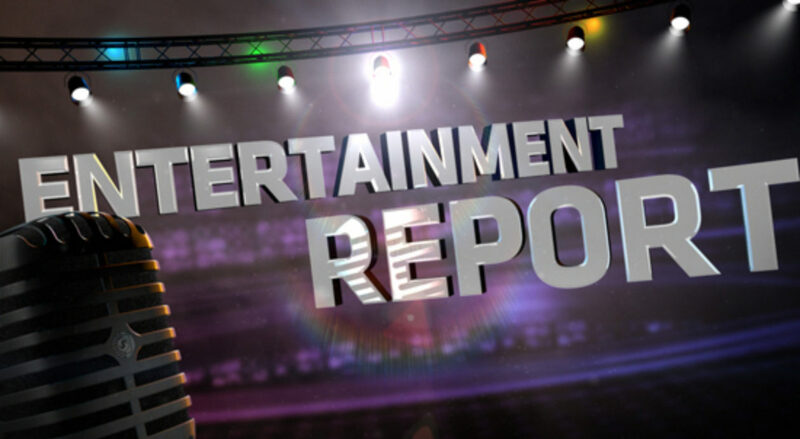 Witness: Commemorating the 30th anniversary of Showtime’s first original movie, The Ratings Game, actor-director Danny DeVito and producer David Jablin sought to finally bring their passion project to the home video market. “Being collectors of special edition discs of our favorite films, we decided that if we were going to do it at all, we’d want to give our ‘baby’ the same kind of loving treatment and do it in a way that would appeal to comedy fans and video collectors like ourselves,” says DeVito. See what we mean? Olive played, they won, Danny and David won. And we won. 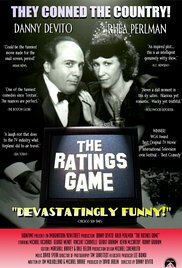 In 1984, Showtime Networks made their first foray into original movies with The Ratings Game starring Danny DeVito and his wife Rhea Perlman. The hilarious and biting take-down of the ratings-obsessed network television industry, which also marked DeVito’s feature directing debut, was greeted with love-letter reviews from critics and fans alike. The feature also boasts an eclectic comedy ensemble with performances from Gerrit Graham, George Wendt, Vincent Schiavelli, Ronny Graham, Steve Allen, Huntz Hall, Michael Richards and Jerry Seinfeld. 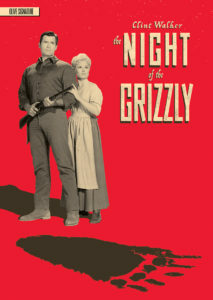 Unfortunately, after its premiere, the film slipped through the cracks of the network’s slowly evolving distribution channels and fell into obscurity as a result, “except with its many fans who continue to hound us for copies to this day” adds Jablin. With some notoriously bad, foreign-made bootleg versions floating around under the name The Mogul, the film has remained essentially lost for more than 30 years. “The mere existence of those totally crap bootleg copies really stuck in our craw and definitely motivated us to set the record straight and put out our film in all of its original glory,” adds DeVito. It’s a bird! it’s a plane! It’s Super . . . girl! A new superhero will begin flying into homes on Tuesday, as Warner Bros. Home Entertainment releases Supergirl: The Complete First Season on Blu-ray and DVD on August 9. 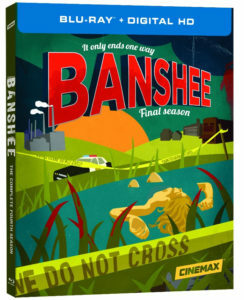 Fans can purchase the set which, in addition to all 20 exhilarating episodes, contains more than an hour of extra content, including the 2015 Comic-Con panel, featurettes, deleted scenes and a gag reel. 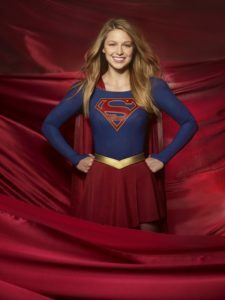 The show, starring Melissa Benoist as Supergirl, is a delightful high-soaring romp; it’s no surprise Supergirl was the winner of the 2016 People’s Choice Award for Favorite New TV Drama. The plot is the stuff meant for the Daily Planet. Born on the doomed planet Krypton, Kara Zor-El escaped at the same time as her cousin, Superman, but didn’t arrive on Earth until years later after being lost in the Phantom Zone. Raised by her adopted family, the Danvers, Kara grew up in the shadow of her foster sister, Alex, and learned to hide the phenomenal powers she shares with her famous cousin. Years later, at age 24, and now living in National City while working as an assistant for Catco Worldwide Media mogul Cat Grant, Kara has spent so many years trying to fit in that she forgot to ever stand out. All that changes when she decides to embrace her superhuman abilities and become the hero she was always destined to be. With the help of Daily Planet photographer James Olsen, her bioengineer sister Alex, and the research of the super-secret, off-the-grid Department of Extra-Normal Operations (DEO), who are tasked with keeping the Earth safe from aliens, Kara takes to the skies to protect her world. In addition to Melissa Benoist, Supergirl stars Chyler Leigh, Mehcad Brooks, Jeremy Jordan, David Harewood and Calista Flockhart. Season One guest stars include Dean Cain, Peter Facinelli, Jenna Dewan Tatum, Laura Benanti and Helen Slater. Die-hard Superman fans will know at least two of the guest stars make appearances! 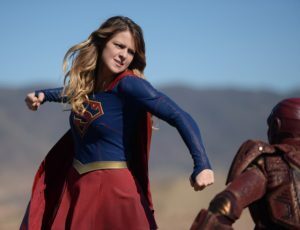 We leave with some insight into how Melissa Benoist plays Supergirl; she knows young people look up to her, so she is careful how she plays her character, keeping a certain purity and goodness in your performance. 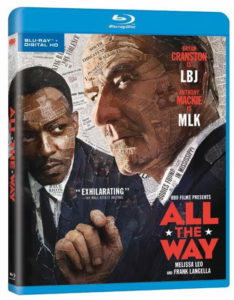 We have no shame promoting all the great DVDs and Blu-ray releases Warner Bros. Home Entertainment brings to fans. On August 30, one of the top-rated Showtime comedy series will get in your hands with the release of Shameless: The Complete Sixth Season. Get set for the Gallagher clan, one of television’s most outrageous families as they entertain viewers with another highly addictive season featuring 12 irreverent episodes, plus bonus content, including two new featurettes and deleted scenes. Shameless, based on the long-running, award-winning British series, was adapted for American television by John Wells and original UK series creator Paul Abbott. The show stars Oscar-nominated actor William H. Macy as Frank Gallagher, the outspoken, alcoholic, single father of six clever and resourceful kids from Chicago’s South Side. Scrappy, stubborn and strong, the Gallaghers are tested by changing times but season six finds them older, wiser and better at playing the system. Accustomed to their natural state of chaos, the Gallaghers are as surprised as anyone at how life is turning out for them. But as they come into their own and find out who they really are, is it really possible that they might grow apart for good? During season six of Shameless, Frank continues to grieve the loss of Bianca, while his newfound appreciation for life is freaking everyone out. Debbie (Emma Kenney) has decisions to make about her pregnancy while Fiona (Emmy Rossum) learns that she too, is expecting. Lip (Jeremy Allen White) is still in a dangerous relationship with one of his college professors. 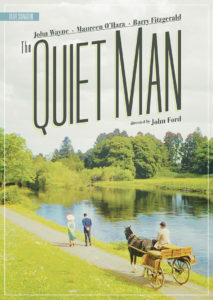 Ian (Cameron Monaghan) is adjusting to taking his meds and finding a new purpose in life. Carl (Ethan Cutkosky) is released early after serving time in juvenile detention. And just when they think it couldn’t get any worse, the Gallagher clan faces the possibility of losing their home when they are served with an eviction notice.